In general, inspectors leave the factory after their job. They seldom wait for the goods to be repacked. There is an obvious risk: the manufacturer might swap the goods (for example, present a good batch for inspection and then ship a bad batch). This risk is particularly high when the factory makes continuous production of the same goods. 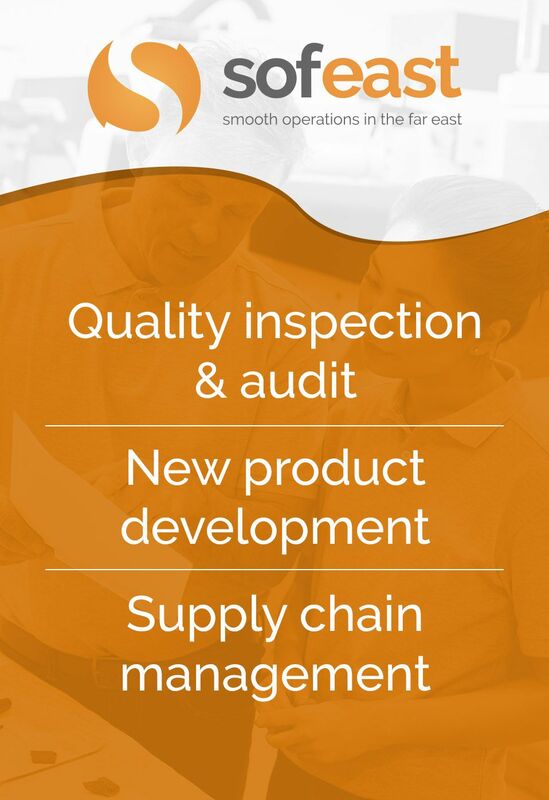 They might notice a severe quality issue on one batch (for example their supplier delivered a substandard material) and they might be tempted to circumvent their customer’s final quality inspection. There is no perfect solution, unfortunately. In this article I listed 8 ideas to reduce this risk. If you understand the production processes, you can visit the factory regularly and do some in-process checks. You likely won’t be able to count the pieces precisely, but it will be difficult for the factory to hide serious issues. You will also know if the factory is presenting one batch for final inspection and has nearly (or already) completed another batch of the exact same SKU. This is the type of risky situation that calls for extra vigilance. One seemingly obvious solution is to load the goods for shipment quickly after the quality inspection, so that the inspector can stay on site and keep his eyes on the products. When an importer employs his own inspectors, this is feasible but it greatly increases the risk of bribery (high pressure to say something “right now”, possible difficulty reaching the manager, risks of miscommunication). When an inspection company is involved, I wrote before why it is necessary to leave at least 2 days between the quality inspection and the loading supervision. One alternative might be to load the goods right after the inspection, and to instruct the freight forwarder to keep them outside the bonded area until the buyer gives the green light to ship (based on the inspection report). It is possible but it would likely be a first for the logistics company — and it would work only if the supplier is willing to get paid after shipment. The objective here is to be able to prove that a swap took place, and this way to deter the supplier from playing such games. Note that it only works if the supplier work regularly with the customer (you might already have paid the order in full by the time you receive the goods and you can prove anything). If each carton has a barcode sticker and each product has a barcode (or an engraved/printed serial number), the manufacturer can be asked to give the list of these barcodes to the customer before the inspection. Then the inspector can check some samples and confirm that these numbers are part of the list. 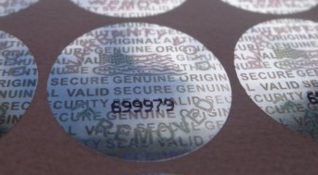 There are secure barcode solution on the market. For example, Scantrust gives its customers a software that detects whether the QR codes are genuine (printed by Scantrust) or were copied. The challenge is often to decide where to place these QR codes. If they are on a carton but the factory can open the cartons and swap the products inside, it only gives a bit more work to the factory. How to make it obvious that the cartons were re-opened? By sticking a distinctive mark. The downside is, factories can get it copied easily in a few days. And an inspector might “forget” a few rolls in the factory. I am not making it up — I heard many such stories. I would guess it is much harder to copy. 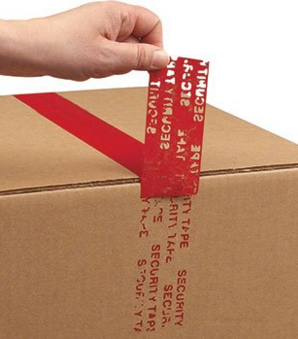 If you ship many small cartons, it is a challenge to place the marks on each one. One solution would be to pack many such cartons in one master carton, and to seal that master carton very carefully. If you do not trust the supplier and you have found no better solution, it might be possible to station one of your employees (or a few of them rotating, preferably) at the factory until all the goods are repacked and shipped out. Note that many factories will refuse to let someone stay in their warehouse at night when all employees are off. Another option might be to place a video camera in the area where the finished goods are stored between the inspection and the loading. I am just brainstorming here. I have never seen a factory let a customer change the locks on one of their doors. But it might be a solution. The buyer would need to send an inspector check quality (until the goods are repacked and placed behind the locked door) and again before loading (to open the door and ensure there is no swap happening). This is often called inspections on a platform. The supplier delivers the goods to a warehouse (usually operated by a logistics company next to a bonded area). It works well if your volumes are high and are not very seasonal. You can approach a big freight forwarder, rent a room with a few tables (for the inspectors) and some storage space, and pay some extra charges the extra handling. It seems to work well in the garment industry, for relatively big buyers. If you got to the point where you suspect your supplier is playing this kind of games, it is time to look for a new one and transfer the business step by step.